Every square inch of Brooklands Museum’s 32-acre site will be crammed with Italian sports and super cars and motorcycles of all ages, each of them with that inimitable Mediterranean twist, for the 22nd Italian Car Day to have been organised at Brooklands in conjunction with Auto Italia magazine. 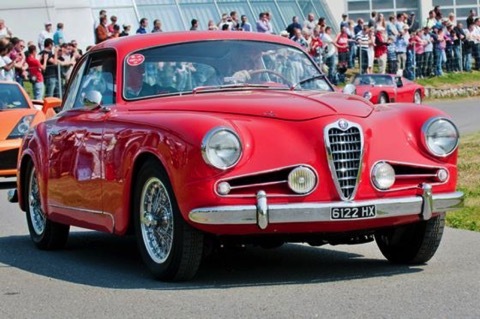 The event, on Saturday 2nd May, is one of the biggest in the Museum’s calendar, with over 1,200 examples of Ferrari, Lamborghini, Maserati, Alfa Romeo, Lancia and Fiat cars on show. One of the highlights on display will be the amazing ‘Il Drago Ruggente’. Built on a 1924 Delage chassis, it is powered by a 27-litre Isotta Fraschini V12 engine from a World War 2 Caproni bomber. It is owned by Glenn Billqvist, who will be bringing it from Sweden especially for this event. Max Wakefield’s rebuilt Lola T332 will be in action on the Mercedes-Benz World circuit in the midday parades as a tribute to the former Italian female Lola and F1 racer driver Lella Lombardi, together with ‘Il Drago’ and selected Fiat 500s, Ferraris, Lamborghinis, Maseratis, Lancias and Alfa Romeos, amongst others. 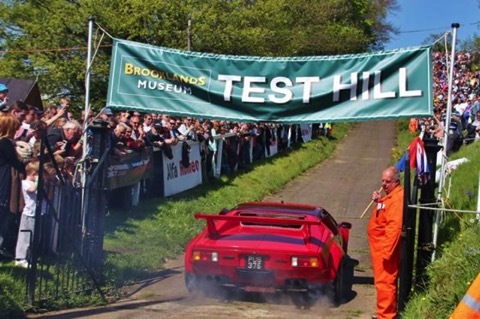 Later in the afternoon, the action will return to Test Hill on the Museum site. Supporting the event this year is prominent UK Ferrari specialists Hoyle-Fox, which will be displaying a “concours” Ferrari 330 GTC and a recently restored rare right-hand drive Dino 246 GTS in the desirable ‘Chairs and Flares’ option - so called because of its Ferrari Daytona seats, widened wings and Campagnolo wheels. Throughout the day, the Paddock in front of the Clubhouse will be reserved for especially rare and interesting cars, with an extensive trade village selling models, spares and collectibles and additional food outlets around the site ensuring no-one goes hungry or thirsty. 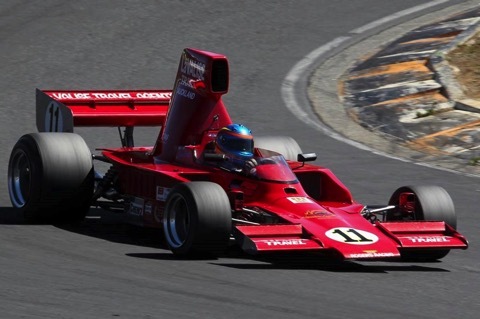 The Museum’s motoring and aviation displays will be open as usual, including the Concorde Experience, 4D Theatre Napier-Railton Race Experience (extra charges apply) and the F1 Simulator. Entry for this event starts at £13 for adults if purchased in advance or £16 on the day, with family tickets at £35 in advance or £40 on the day. Advance tickets are available online until April 27 from www.brooklandsmuseumshop.com and from the Museum Shop in person until May 1. Italian cars should enter the Museum site via the Campbell Gate off Brooklands Road (with a fast access lane for ticket holders). Parking for visitors in non-Italian cars will be in The Heights off Wellington Way - please follow event signage on the day. Gates open at 8am for ticket holders and 8.30am for those paying on the day.